This is a free open studio for BARN Members who have met prerequisite requirements and have been given fob access to the Printmaking studio. No need to register, just drop on in. Printmaking: Fob Open Studio will be a regular Tuesday night feature. 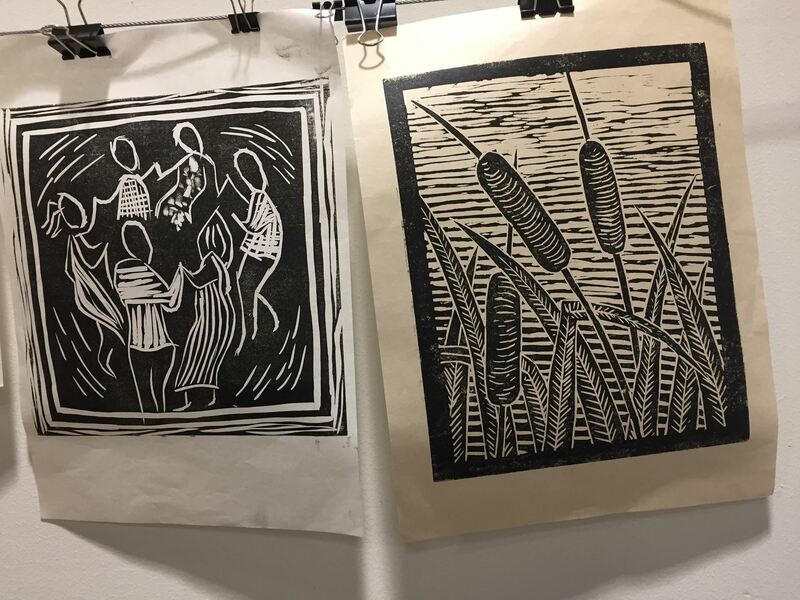 This is un-monitored, dedicated time when BARN members with printmaking studio fob access can be sure there is no other class in session, and can make plans to print together in the studio. (Technically, Open Studio in the print studio is whenever there is not a class in session. Check both the Print and Book Arts calendars; if there is no class for either of these studios, you are welcome to come in and work.) If you can work on your own projects that do not require further instruction, no need to check the calendar. Up to 10 print studio members can work at one time. If there is high demand, we will begin having formal online registration for this time period. Until then, you can just show up. Prerequisite: BARN Member and Print Studio fob access (authorized by the Studio Lead after completing the prerequisites for unmonitored time in the studio). There is no fee for this time. It is part of your BARN membership. Open studio users are expected to know where studio tools, supplies, and equipment is kept, to respect the standards and policies posted for studio use, to be considerate of others, and to leave the studio neat and clean when finished. A variety of print paper is available for purchase in the print studio. Feel free to bring a meal or snacks. Food is allowed in the common area adjacent to the studio classroom, and there is a kitchen in which to store and reheat.